Our house is wonderful and our house is great. 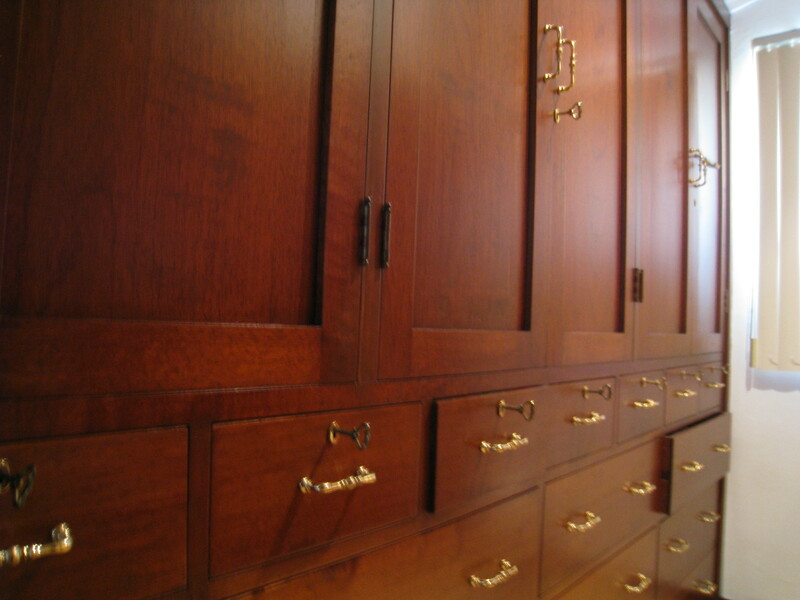 It keeps the elements out and it provides a place for us to store our stuff. With that being said, our house has quirks. 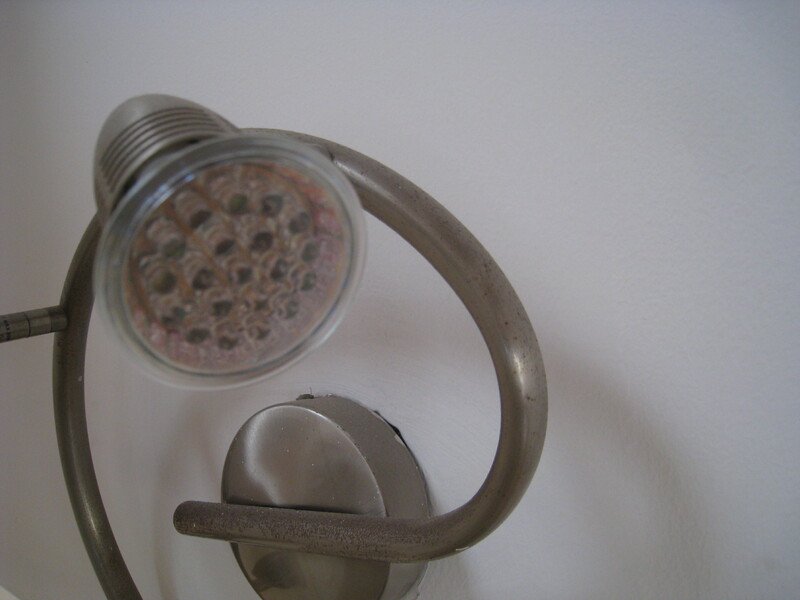 I’m not accustomed to having LED lights as the primary source of illumination in a house. In the daytime, it’s not that important as our house an open airy feeling and plenty of windows (even if they don’t work), but the house can be a bit dark once the sun goes down. As our house has no large, main lighting fixture, it can feel a tad cave-like in the evening. Not a complaint, merely an observation. 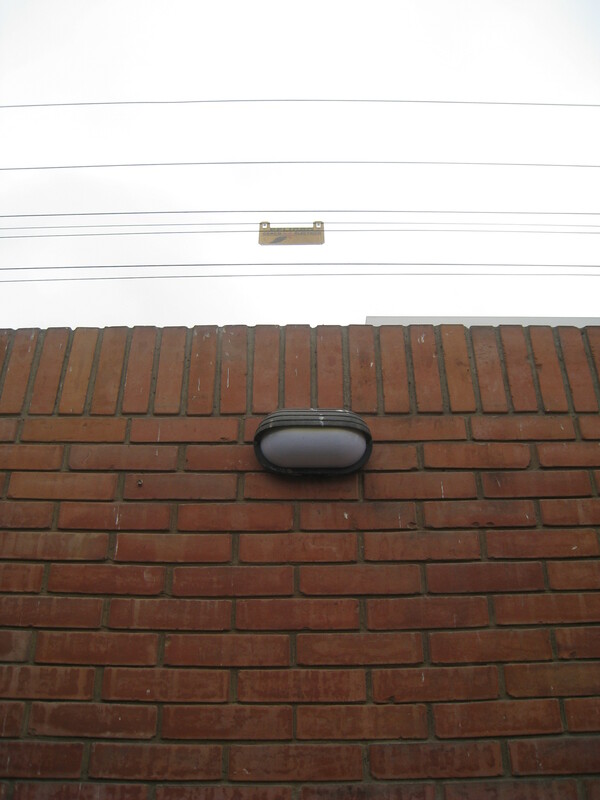 The light switches that control these LEDs have also taken some getting used to. 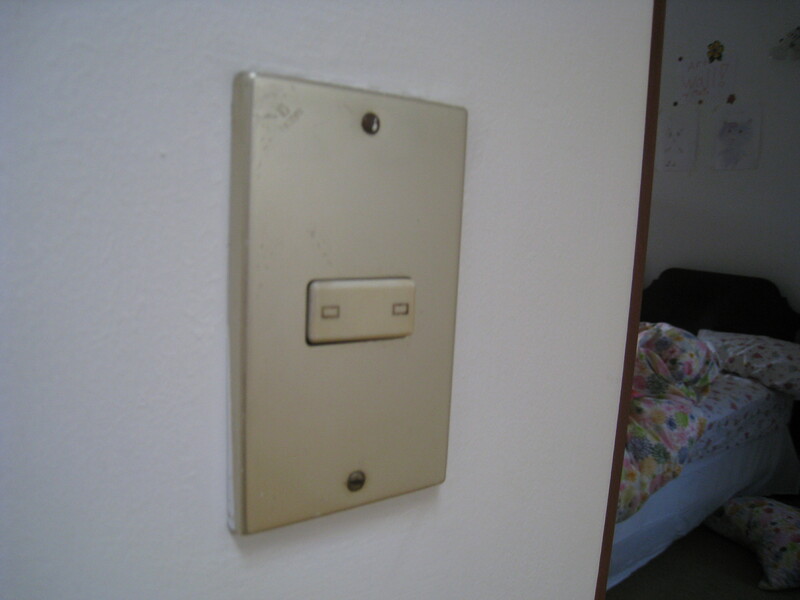 They are not the up-and-down style switches I am used. They are of the side-to-side version (see below). Hey, why has my daughter not made her bed? As you can see in the picture above, there is no helpful text such as “ON” and “OFF” (or their Spanish equivalents) that tell you what the status of the electrical circuit is. Is “left” on or is it “right”? 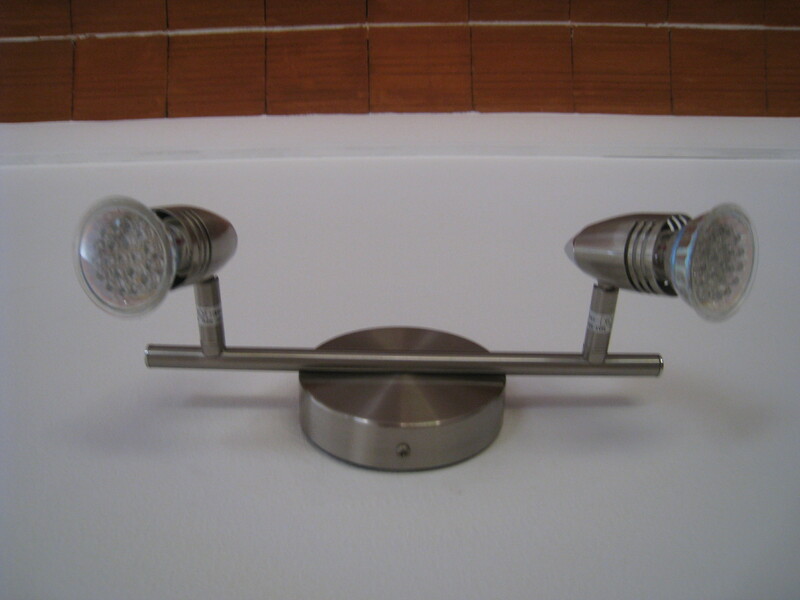 To add to the confusion is the fact that multiple switches can operate the same LED. I really don’t need any more ambiguity as our house has enough mysteries. 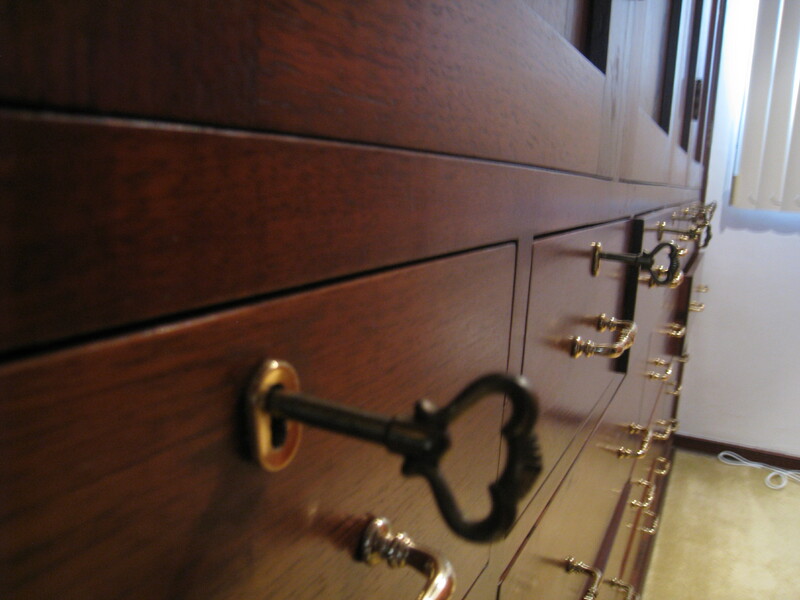 In Spanish, the word for "key" is "llave"
…every key is exactly the same. One key can open up every lock and yet we have a dozen of that key. …and topped with electrified wiring. We have ours set to "Super Crispy"
Friends and family, please do not worry as we are nothing special. This set-up (high, high walls and electric fences) is de rigueur (which is French for “par for the course”) for Lima. After nine days and having gone through and sorted all the contents of our eleven suitcases, we have, to date, catalogued the following items as missing and presumably lost. a) My lovely wife has one slipper, but cannot find its match. b) A charger for a cellular phone, which in retrospect we shouldn’t have brought since it most likely doesn’t work outside of the States. However, as I mentioned before, the process of moving can be stressful. If you find them or have any clues about their whereabouts, please contact us. And with that, Day 009 was finished. On this fine (and still cloudy) Sunday, we made another outing to Jockey Plaza, but this time we were in the capable and friendly hands of our Orienteering Foster Family (OFF), the Valenzeulas, who had three children close in ages to our own trio of progeny. The purpose of the OFF is to help newbies to the country of Peru get their bearings in their new environment that can be quite different from the place they left. For my money, having an OFF is certainly better than simply being thrown into a new locale and left to fend for one’s (of family’s) self. Having a group of people who have been in the country for some time helps with situations like the one we had in this mall. After having lunch in a restaurant specializing in meat and Peruvian chicken, (Mediterraneo Chicken for those of you keeping track of our comings and goings), we treated the whole group to some gelato. 1) Sidle up to the counter. 3) Receive cone/cup with requested flavor. All four steps can be done with the same worker but it is not unheard of for another worker to be involved in Step 4. As you can already surmise, this is not the case in the City of Kings. For our little outing to Gelato-Land, I sampled both the fresa flavor and the mango flavors. In my best (a relative term) Spanish, I said, Yo quiero una taza con fresa (“I would like one cup with strawberry”). At this point, I would have expected to be handed my Styrofoam container with a plastic spoon and my chosen ball of strawberry-flavored goodness, but instead I was handed a piece of paper accompanied by some general hand-waving by the clerk as if shooing me away. Have I offended? I thought. Have I said something inappropriate? Does taza imply some insult to a person’s maternal ancestry? This is where Dawn, matriarch of the Valenzeula clan, came to our rescue by guiding me over to the caja. With Dawn as my guide, I handed the piece of paper, which had my order, to the woman at the caja. She said something in Spanish that included a number and I handed over a twenty soles bill. She handed me some change and another piece of paper that showed that I had paid for my order (or in Peruvian parlance, “had cancelled my order“). So armed with proof of payment, I went back to the original woman and had to tell her again what I wanted. She doled out one scoop of fresa gelato and all was right with the world. I have remarked before on the apparent inefficiencies in this country, but I am truly trying to figure out why this Point A-to-Point B-back-to-Point A process is necessary. However that thought will have to wait as I have gelato to savor. One of the tools that I am attempting to use to assist with my lack of command of the local language while I reside here in Peru is a trusty Spanish-English dictionary. Please note that all translations seen below are subject to Disclaimer No. 2. Entitled The New World Spanish/English – English/Spanish Dictionary, it has come in handy when I have tried to study certain everyday verbs such as “take”, “put”, or “drink”. When I have been out of reach of Google Translate, this reference book has helped me learn simple requests like “Take me to the school, please” (Llévame a la escuela, por favor), “Put the broccoli in this bag, please” (Ponga el brócoli en esta bolsa, por favor), and “I would like to drink Sprite, please” (Quiero beber Sprite, por favor). I don’t always have this book handy with me as exemplified by my adventures found here and here. However helpful this tome may be in certain situations, I have to shake my head and wonder why certain words made it into this work. Other examples of words in this dictionary that I would be hard-pressed to think when I would use are “hillock” (loma), “rheum” (catarro), and “cablegram” (cablegrama). It probably doesn’t help that my dictionary was published in 1968 and actually looks like it was printed on foolscap. Slowly…slowly…and after only eight days, we are beginning to adopt some local customs. While I have spent some time in this e-space scratching my head over the differences between where I came from and where I am now, this is one un-similarity I can embrace. Tonight, we stopped off at Don Mamino’s (made most famous by Sin Polaris in this post) and picked up some bread. Croissants, yema, egg bread, and other types of doughy goodness whose names I can’t recall were all the items we purchased for the evening meal for our family of five. Lunch for this Saturday had been quite large, so we were now about to attempt the Latin custom of eating a light supper. Dinner in the States is the big meal, but that is not the case here. Perhaps people sleep better south of the Equator because their stomachs are not as full at bedtime. ¿Quién sabe? With the bag of bread in the center, we also added to our tableaux a tub of butter, a jar of jam, a jar of peanut butter, slices of edam cheese, and a bowl of guacamole superbly made by my loving wife. We sliced, we slathered, we spread, we ate, and we shared as I would like to think a typical peruano family would be doing. And with that Day 008 was finished. We’re at our local grocery store and I’m doing math. If you would like me to be more specific, I am doing mental math by keeping a running total in my head of all the products currently in our cart. This internal computation must be done because we only have X number of soles on our persons. Therefore, we need to ensure that our grocery bill (let’s call that sum, y)for this Saturday outing is less than X. How much was the milk again? When I add the yogurt total of S/.5.75, should I round up or down? Was the price on the apples by the kilogram or the piece? …and that neither of our sons accidentally drops a 4-kilogram bucket of ketchup on themselves. The concept of ensuring that y < X is not something I am used to while shopping. This is because, while living in the States, we had a debit card, credit card, or other form of plastic that allowed us to purchase our groceries without the need of having paper money in our wallets. As we are enjoying our eighth day in Peru and no longer in the States, the concept of “buy-now-pay-later” does not work for us here. We cannot whip out the plastic and pay for everything in our cart. We cannot shop impulsively and simply drop items we want in our basket because we have to make sure that y < X. We find ourselves currently living in a cash society and it is odd. The following observation comes courtesy of my lovely wife. There is a pair of reasons why this topic did not originate with me on this Saturday. The first is that since I am endowed with a Y chromosome, I have a genetic predisposition to be blinded to all things regarding fashion. Not only do I personally believe that stripes and solids can match, I am firmly atheistic on the entire principle of matching. What my wife noticed, on this particular outing to our local grocery store, was the fashion of the other women cruising the aisles. This sartorial sense of the señoras was a tad different from the clothes that grace State-side women, especially those perusing the pears and peppers in the produce section. First, a mild disclaimer. This completely un-scientific survey suffers from a small sample size and an imbalance in the socioeconomic status of those who were indeed observed. With the above disclaimer, here is what my wife pointed out to me. One) Women here do not, as a rule, wear sneakers. This comfortable bit of footwear seems to be zapato non grata in our environs of Peru. The shoe of choice appears to be the boot. Leather or suede, ankle-high or knee-high, with or without heels, the boot is the shoe of the Lima fashionista. Two) Females wear their pants tighter. I’m not just talking about jeans, but all types of leggings. Be it any material or any body type, as a rule, the fit appears to be quite snug. In Peru, there is no such thing as “mommy jeans“. …and clicking photos of female curvature seemed like a good way to violate two of those goals. So use your imagination to picture of what I speak, or come on down to Lima and see for yourself the female fashion flair. Oh…and the second reason this topic of observation did not originate with me was because, as a blissfully married man, I am incapable of noticing other women. As mentioned earlier, our family makes the trip to our local Starbucks to use their wi-fi signal so we can keep in touch electronically with friends and family back in the States. Today, while browsing through our e-mail, I saw a gentleman who was dressed in worker-type clothing approach one of the plants that grace the outside of this coffee-serving establishment. This man, let’s call him Ishmael, was standing next to the plant when he brought out a squirt bottle from his belt and began to spray down the flora. After the initial spritz was done, Ishmael took out a rag and began to wipe clean the leaves of the plant. At first, I thought that these plants were fake and decorative, but when I went to examine the greenery later, I confirmed that the plants were indeed real. Ishmael’s job was to clean the plants. Where we live is quite dusty. The main reason for this is that our area is surrounded by mini-mountains (not quite mountains, but larger than hills) that are nothing but dirt. No trees, no grass, no other vegetation reside on these features. It’s as if all the dirt from Lima’s construction dating from 1675 has been dumped in the four or five mini-mountains that dominate our horizon. The ocean breezes play across these features and pick up the dust which then gets deposited everywhere. Since the Web is a visual medium, here’s an example of what I mean. 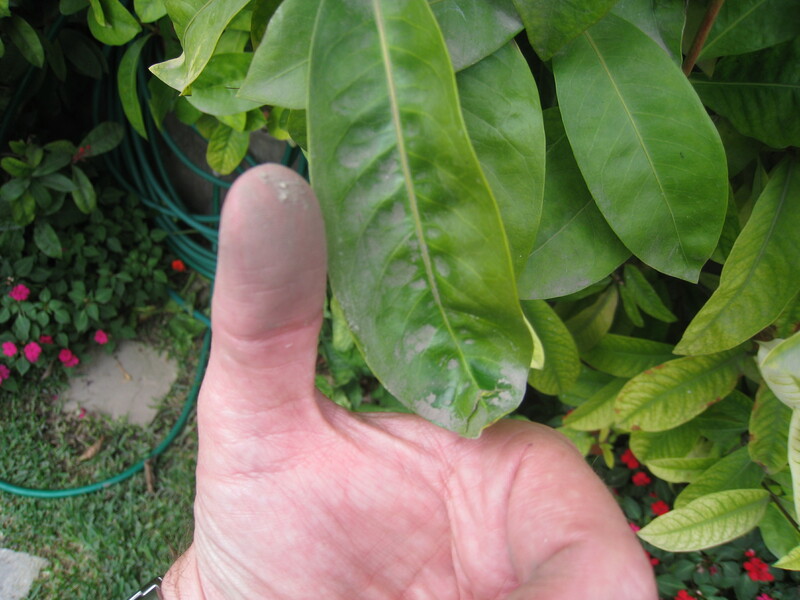 …and here is that same thumb after rubbing it on the leaf. 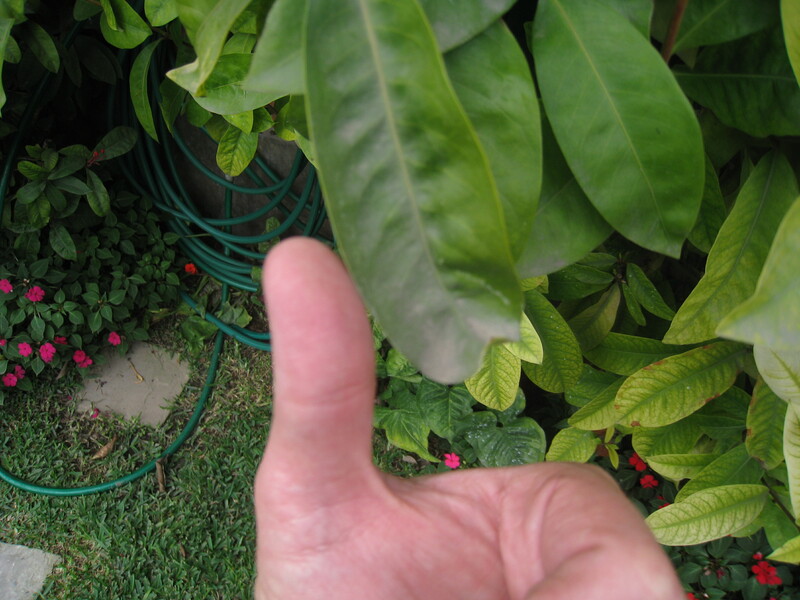 Photographic evidence that I truly have a black thumb. Here it is, the final, stirring, and monumental ending to the Cell Phone Saga that started here and continued here. Today’s final installment showed us how to put money on my cell phone with the SIM card. This process was eons easier than I would have thought considering my earlier thoughts about this country’s culture of inefficiency. All we needed to do was to go to our local grocery store, stroll through the cashier line, and simply provide the helpful attendant with our phone number and the amount we wanted placed on the phone. We didn’t have to actually provide the SIM card or even the physical telecommunications device itself. Just provide the number and that’s it. Oh, we did have to pay. Can’t forget that step. In the States, it’s Coca-Cola vs Pepsi as those two companies account for 71% of the soda market there in 2010. Here in Peru, to my untrained only-been-here-a-week eyes, it appears that there are also two main players in the soda market and they are Coca-Cola and Inca Kola. However, since the company from Atlanta with the distinctive ribbon logo owns part of the company that makes Inca Kola, it’s almost as if there is only one player in the carbonated beverage world. Pepsi appears almost nowhere. 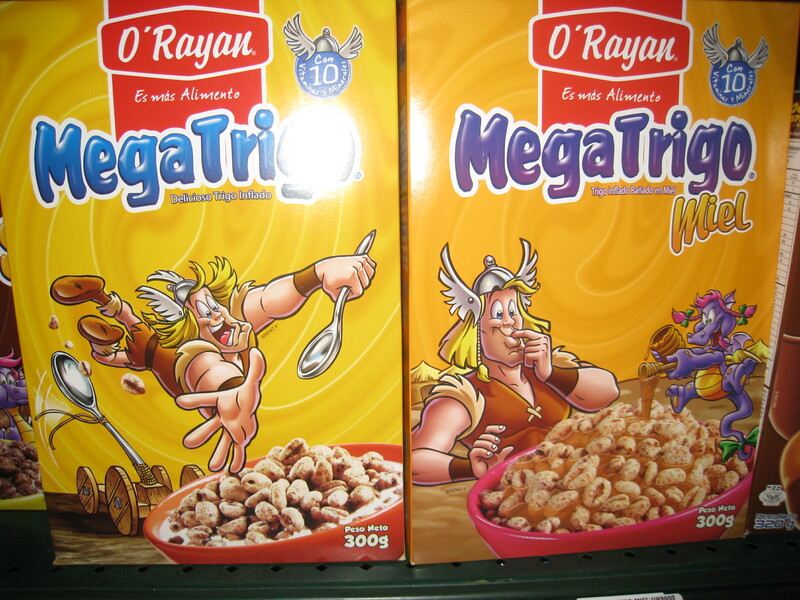 When I have seen their product on grocery store shelves, it occupies a fraction of the space that Coke and Inca have. In addition, Pepsi is cheaper as if they are trying (and failing) to give the stuff away. There are a few other players in the Peruvian soda market, but I can’t recall any of their names. Two other items of note concerning soda and they both revolve around Coca-Cola. Diet Coke is also almost nowhere to be found here. Coke Zero appears to occupy the no-calorie space that Diet Coke would normally take. Also, it is noted that caffeine-free soda appears to be a no-show of a product here also. Before I go, I was remiss in my last Randomocity posting so let me make up for it to wish a lovely and rousing Happy Birthday to my paternal grandmother, who turned 95 yesterday. Born when Woodrow Wilson was president, she lives in an era to have seen the rise of the horseless carriage, the fall of the Ottoman Empire, the rise and fall of the Soviet Union, and the rise and fall and rise again of Richard Nixon. She has also seen the birth of a technology that allows her to read her grandson’s ramblings from Peru. And with that, Day 007 (and Week 001) was finished. So what to do when the wife has the day off from work courtesy of the Peruvian holiday of Fiestas Patrias and the kids haven’t started school yet? Go to the movies, that’s what! In the States, when we wanted to see a flick, it would be a simple matter of firing up the computer, launching our browser of choice (which would be Firefox), and selecting the URL of our local movie theater to see what films were playing when. 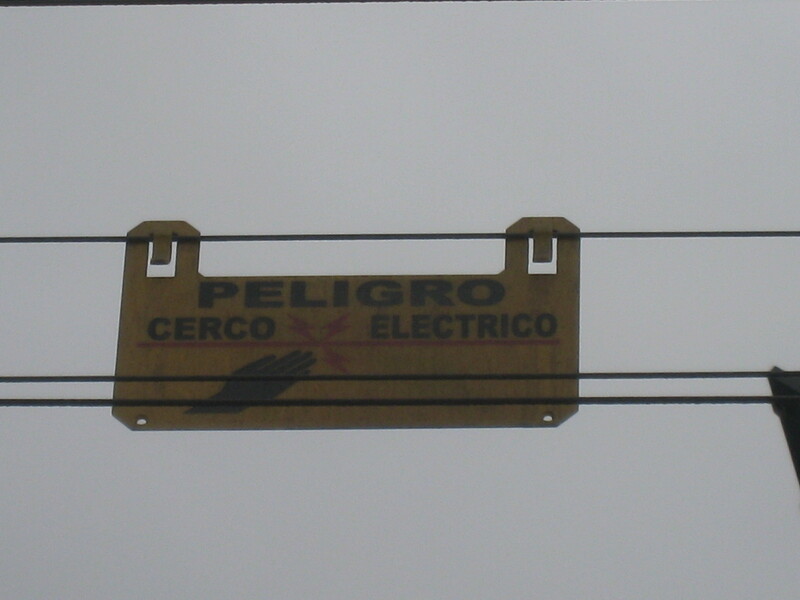 However, this was not possible at this moment in time in Lima because we were without the Internet. For us to access the global network of networks, we had to take our tiny netbook to our local Starbucks and piggy-back off of their wi-fi. This would mean either bringing our mini-PC to the cinema or going to the coffeehouse and then coming back to our house. Instead, we simply decided to throw caution to the wind (just remember to stand downwind) and travel to the theater and take our chances. Fate smiled on us as we arrived thirty minutes before a showing of Cars 2. I learned something about movies here in Peru. Children’s movies are dubbed into Spanish while more adult fare is usually subtitled. The reasoning here is that tykes, for those old enough who can, have a tougher time reading so it’s easier if the film is dubbed. What this means is that I would have to rely on my horrible command of the language to follow the plot of the latest animated film from Disney/Pixar. Another curiosity, but by no means the last, was the ticket provided by the cashier after we paid. In Virginia (as most likely all other 49 states), when we bought admissions for our family of five, we received a quintet of tickets that we would individually hand to the ticket taker. However, after we laid down our soles, we were given a sole receipt much akin to a restaurant bill. This meant that we could not split up our group allowing one adult to wait in line while the other bought snacks because when the line started moving, we all would have to be together since we only had one ticket. Before the movie began and even before the trailers and commercials started, the lights dimmed and then music started playing. If that wasn’t odd enough, everyone in the theater stood up. I know a cue when I see one, so the rest of our family also rose for what I can only guess was the national anthem of Peru. It’s a stirring tune that even has parts where just the men sing and parts for just the women. With the music done, all sat down, the curtain rose, and the show began. At first, I thought it seemed bizarre to play the nation’s official song before a movie, but, upon further review, I recalled that my home country plays their national anthem before all sporting events for no other reason except that it was a tradition started by the owner of the Boston Red Sox back in 1918. Later, I e-mailed a former co-worker of mine who hails from Peru and I asked her about the playing of the national anthem in the theater. She explained that this was done only during the week that Fiestas Patrias was celebrated. This was confirmed for us when we saw another film, Los Pitufos, in August. If you’ve never heard of the film Los Pitufos that’s because that is the Spanish translation of the movie known as The Smurfs. It’s been fun to see how the titles of movies are translated. Here are some examples (and any errors in translation are mine as explained by Disclaimer No. 2). Horrible Bosses became Quien Matar a mi Jefe (Who Will Kill My Boss). Insidious was translated as La Noche del Demonio (The Night of the Demon). Bridesmaids was advertised as Damas en Guerra (Women at War). The translation of Green Lantern isn’t that much of a stretch as it crosses over plain and simple as Linterna Verde. 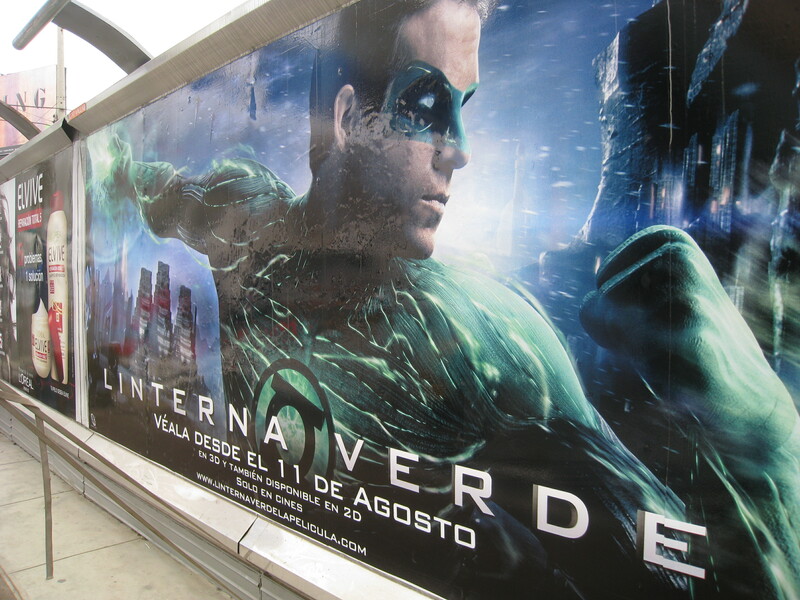 I only bring up this movie because one poster that I saw had a translation of the beginning of the Green Lantern Oath. 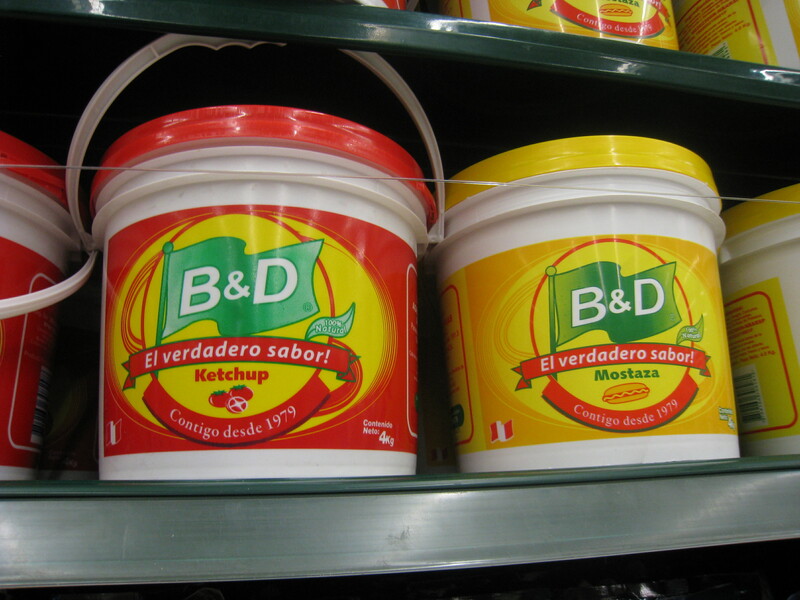 Instead of “In brightest day / In blackest night…”, the text read En el dia mas brillante / En la noche mas negra…. I know something always gets lost in a translation, but there’s just something missing in the oath when done in Spanish. On a final note, you should know that I occasionally torment my kids by reciting the whole oath to them. They think I’m a nerd and they’re spot-on right. As mentioned in my previous entry, the Peruvian holiday known as Fiestas Patrias is a two-day affair and today was that second day. This day is set aside to honor the Peruvian armed forces and the National Police of the country. Since arriving in this country a week ago to the day, I have seen Peru’s dual colors anywhere and everywhere a flag can be raised. From rooftops, from light poles, from stoplights, from taxis, and from balconies, the red and white banner of Peru flies and flutters. I’m not sure if this is the official designation, but I read this following phrase in one of the local newspapers: La Semana de Bandera (“The Week of the Flag”). Makes sense to me. I am guessing that this plethora of flags is due to the fact the independence of Peru is being celebrated. It’s just that power of deduction that makes me the Hercule Poirot of our household. I am curious to note when (if) the flags come down. An interesting observation about the Peruvian flag is there appears to be two versions. You can jump here to a Wikipedia page to see both variants, but I’ll also try to describe them (and I’m not even getting paid by the word…point of fact, I’m not even getting paid). The first, more basic, version consists of a red vertical band on the left, a white band down the middle, and another red vertical band on the right. The second version is the same red-white-red pattern, but inside the white band is the coat of arms of the country. I like this concept. Imagine if there were two versions of Old Glory. Instead of a field of blue with fifty white stars, the variant version of the flag of the United States of America would have a [I’m sure your idea is much better than mine, so just go ahead and fill in this aside here with your suggestion]. Oddly enough, it does not feel odd to be completely surrounded by an unfamiliar flag. As I thought about it, I surmised that I should have felt disconcerted to see a flag that was different from what I was used to see flying from flagpoles for my past forty-two years, but yet it wasn’t. It’s probably the same way you feel when you visit a friend’s house and see that their kitchen is set up different from yours. It should bring up a feeling of “things not being quite right”, but then comes the realization that you’re a guest, so things are supposed to be different. You then move on to enjoy the wine and the company. If you have a better analogy, entries can be submitted in the Comments section below. I have since learned from a pair of folks that I have chatted with and from this section of the Wikipedia article about Fiestas Patrias (oh, and from this photo blogger and from this writer also) that the flying of the Peruvian flag is mandatory although opinions differ on how strictly this obligation is enforced. This requirement brings to mind a question, but before I pose my inquiry, I invoke Disclaimer No. 1. Yes, I know I am a guest and I realize I feel like I am critiquing someone else’s kitchen layout when I am not an interior designer (ugh, there’s that clunky analogy again) so allow me to turn the question on myself and wonder what is a government-sponsored obligation on me that an outsider would find curious. I offer up registering for the Selective Service. You? Today, July 28, marks Peruvian Independence Day and it is the first day of two that is a national celebration called Fiestas Patrias. This day celebrates the 1821 proclamation by Jose de San Martin of this country’s independence from Spain. Happy Birthday, Peru, on your 190th birthday. Since the family and I were in the States at the start of this month, we were able to celebrate Independence Day in the United States in the Washington, D.C. area and we were able to wish a big happy 235th birthday to the U. S. of A. on the day it declared its independence. That’s a first for me when I can celebrate two Independence Days in a month. Since variety is the spice of life and it’s always good to do some comparison shopping, we tried a new grocery store today. In addition, in typical bloggy fashion, I took a picture of it (see below). This store was slightly different from our first experience at a grocery store. Wong appeared to have a wider selection of products than our first store including some products commonly found in the States such as Wishbone salad dressing, Kellogg’s Frosted Flakes (although this blog posting notes that Tony the Tiger has a bit of a different look about him), and Kraft’s macaroni and cheese. 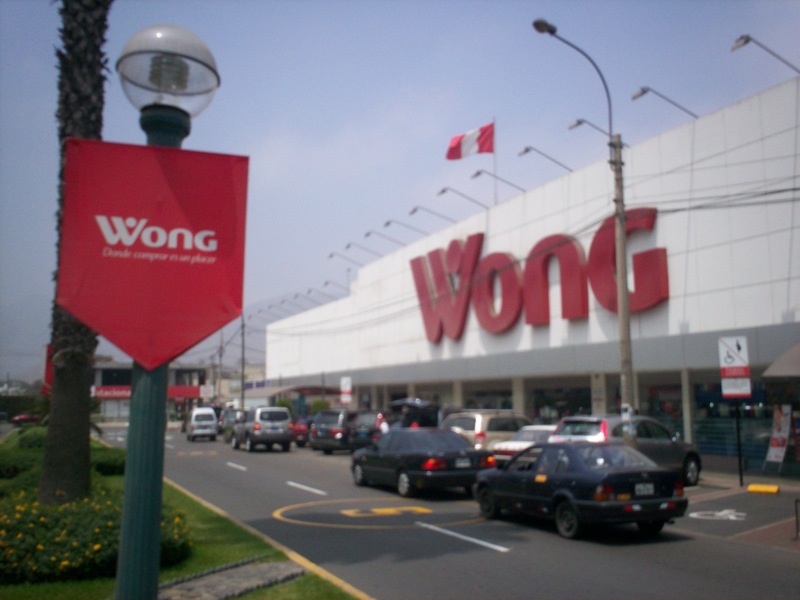 However, with greater options comes a greater price as it appears that the prices here at Wong were slightly higher than our first grocery store. There is one other difference between this new store we were in and all the other grocery stores. It apparently is a custom among the local high school students to go through a rite of initiation during their senior year. Before their last set of finals, these seniors must run through a pair of grocery stores and purchase six packs of any product from the “Casino” line of cookies and snacks. There are a fair number of casinos in Lima and the thought among the seniors is that the “Casino” brand of cookies carries with it the good luck that people hope to find in the casinos. What is interesting is that for this rite of initiation to be considered successful, the seniors will run through any other store such as Plaza Vea, Tottus or Vivenda, but they will completely and utterly avoid running into Wong. …two Wongs don’t make a rite. And with that, Day 006 was finished. Tonight was a night out. We had been invited to a soiree by the O’Ryans (who you may remember from their previous appearances on Sin Polaris such as here and here) at their house. Not only would this be an opportunity to sample some fine cuisine, but it would be a chance to meet some new people. Some of these folk we would meet were actually newer to Lima than us (making us the veterans) and some could count their stay in Peru in terms of years. For that latter group, I would spend a fair amount of time quizzing them about places to see (Machu Pichu was the #1 answer, but I also heard about other places such as Caral and Pachacamac), the cloudy winter weather, and the horrors of traffic (one story involved a T-bone accident). At one moment at the party, when I wasn’t receiving the latest information about life in Lima, I stepped out into the backyard, into the cool night, and looked up. On this night, the astronomical deities were with me as the clouds decided to visit Iquitos and I was able to see some stars. Having had a telescope since I was thirteen, I am fascinated by the starry sky and can identify most of the major constellations. Given this time of the calendar year, I knew that the constellation Scorpius would be in the southern portion of the sky. I scanned the lower portion of the southern horizon to find the tell-tale star of the Scorpion, the crimson Antares. However, I could not find it. I had seen this eighth sign of the zodiac at our house before we left the States, so I knew where to look, but I was beginning to feel at sea because I simply could not find it. This inability to locate a known guidepost was nearly the last straw that broke the proverbial camel that was my sanity. Yes, the preceding statement can be qualified as hyperbole, but let me provide you with the following description of my situation and you can judge. Here I was in a country where I did not speak the language with its corresponding side effect of not being able to make myself understood (examples reside here and here). Here I was in a foreign location and out of a job for the first time in over a decade. Here I was in a place far removed from friends and family (Facebook, emails, and Skype only take you so far). Six days without the known reassuring comforts of langauge, work, and a network of support, and now even the normally rock-steady heavens themselves decide to pull the rug out from under my feet. Freaking out at a party is not considered good manners so I tried to gather my wits and figure out where my navigation was off. Then (duh!) I recalled I was 12 degrees south of Equator and any star that I saw in northern Virginia, which is nearly 39 degrees north in latitude, would now be higher in the Lima sky. So I looked up and there was the familiar blinking vermillion dot of light that is Antares. Moving my gaze up and to the right brought me to the also-familiar trio of stars that make up the “claws” of the scorpion. All I needed was a change in my perspective. I also realized that I had an opportunity here. Being south of the Equator now gave me the chance to see astronomical sights I never could see up north. Celestial objects such as the Large Magellanic Cloud and constellations such as Chamaeleon and Octans were now open to me. Further rolling down the path of revelations, it struck me that what was also open to me was the opportunity to learn a new language, to explore new avenues for purposeful activity (i.e., writing), to create a vast new network of friends, and to have experiences unknown to me in my Stateside existence.